Confetti. Balloons. Streamers. Trampled posters and signs. 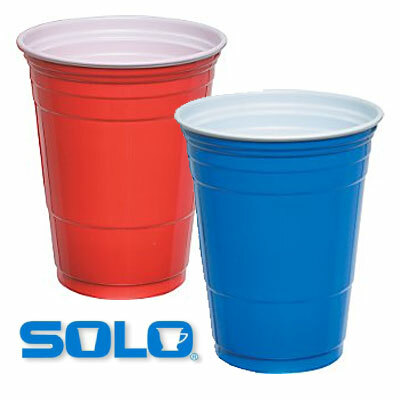 The ubiquitous Red Solo cup (and blue too!). These are the lasting images and the legacy of Election 2012 as America partied through the night and into the early hours of Wednesday morning, either in celebrating victory or mourning a defeat…or maybe just toasting the end of the most rancorous election that most people can remember. It took an election like this one to divert people’s attention away from some very hard facts, all while using those facts as the basis for each argument and each debate. The economy is in shambles, our credit rating is still downgraded, our debt ceiling is getting too close….again. We’ve heard all these remarks from candidates on both sides of the aisle and none of this is new but I have to give it to both the Democrat and the Republican parties on this one. They both managed to stimulate the economy by getting contributors pony up SIX BILLION DOLLARS for them to spend towards this election. The result was the longest, largest and costliest political bash in history and one from which we all awoke on Wednesday suffering from the biggest national hangover in history. The reality that Americans woke up to was that for all the speeches, all the stumping for votes, all the rhetoric and all the attacks, for all the ads and for all the literature circulated, very little had changed in Washington. The President had held on to his job for another four years but the Congress was virtually unchanged with the House of Representatives still in Republican control and the Senate still in Democratic control. Moreover, the President won by some 2.8 million votes, which may sound like a lot but in comparison to the entire nation, is basically the population of Chicago. When you look at the numbers, he carried just over 50% compared to his primary challenger’s 48%, leaving the remaining 2% to a plethora of insignificant other candidates, none of whose names I even know. Had the Republican candidate won, it would likely not have been by more than the percentage claimed by the President. That leaves us with the same issues that was on the table prior to November 6th, 2012. We are a country split down the middle, divided on our issues and becoming more and more resolute in standing behind the issues that divide us instead of sitting down and working through those issues. With each passing Presidential and Congressional election, we solidify our positions, choose our color, red or blue, and shoot spit balls at each other across the virtual aisle that the world has become. If you took Democrats and Republicans from both sides and drilled down to the core of their being, you would probably be surprised at the results. You would find Democrats that believe that gay marriage is abhorrent and you would find Republicans that would embrace it. You would find Democrats who believe in the literal interpretation of the right to bear arms and you would find Republicans who strongly believe in gun control and limits on firearms. Not all Democrats believe in national healthcare. Not all Republicans think national healthcare is a bad thing. The minute we sign on to the collective philosophy of the political party is the minute we let go of some of our individual beliefs in favor of a molded, shaped philosophy, both of which are flawed. We are a nation of individuals and each individual has his or her own beliefs and principles that help to form the core of who that person is. They may be shaped by ones upbringing, religion and education or the lack thereof, personal experiences and so forth. For modern voters, you can add the influences of television, the internet and in this particular election, social media which really made its big stage debut in this election more than any past. Four years ago, I didn’t know what Facebook and Twitter was and what was out there in 2008 was more confined to the young. Now, both are everywhere and both were heavily used to influence voters with information, both good and bad, true and untrue. For me, Facebook used to be enjoyable for the purely social interaction of people but when it was turned into a political battleground it became a place you didn’t like quite as well. If people weren’t politicizing the social stratosphere, the paid ads off to the right were there to constantly remind you that “hey, there is an election going on!”. I saw a number of people withdraw from it completely during this time. “Poll” became a four letter word in every sense possible. So much money spent, so much wasted time on polls which pointed in every single electoral direction possible, like some deranged compass made in China. 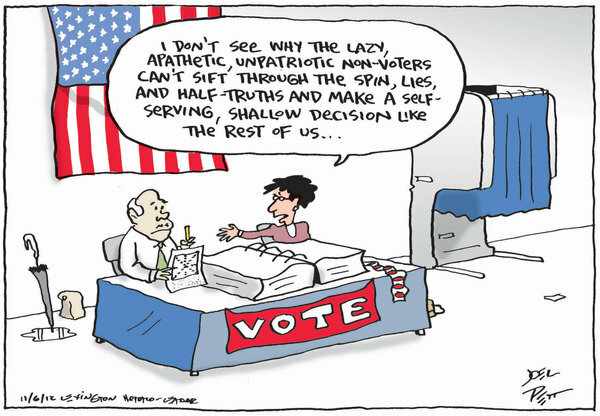 Polling firms made out like a bandit and in the end, provided absolutely nothing of value except confusion to the American people and misdirection to the politicians running. Ads, on Facebook, on billboards, in the newspapers and on television were also part of that six billion dollar tab for the party of the century. Think about all that could have been done with that kind of money (aside from stimulating the economy of the media, printers, pollsters and the Solo Cup company). They could have given $120 million to each state to help education. They could have given $1.9 million to every single county in the USA to use for lowering property taxes. Or they could have treated my wife and I to dinner at Morton’s Steak House since they spent $50.64 for each vote they got. Together, we could have enjoyed a $101.28 dinner and an outstanding steak and avoided the ads. One night of indigestion from great food is a lot better than nine months of drinking bad liquor and waking up with the mother of all hangovers. The big party is over. Its time to get up, take some Excedrin, put on a pair of sunglasses, dig in and fix our badly broken system. It’s time to come together, work to find compromises and look out for each other again. It’s time America was made whole once more. It won’t be easy and it won’t be done overnight. It will take years to accomplish and it will take swallowing some pride on both sides and reaching out to the other side. We may as well face facts….we aren’t a young nation anymore and we just can’t keep partying forever like this.